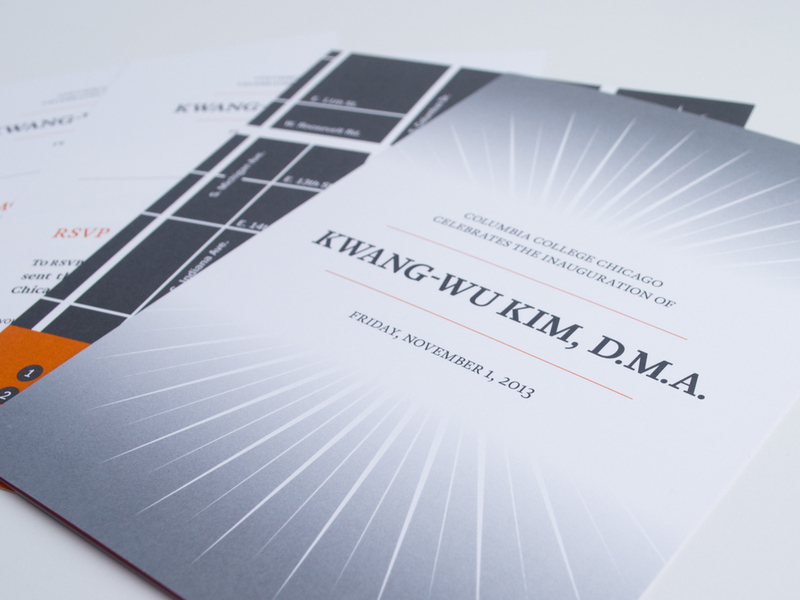 While working in the department of Creative Services at Columbia College Chicago, I designed a variety of materials for the inauguration of the College's 10th President, Kwang-Wu Kim. 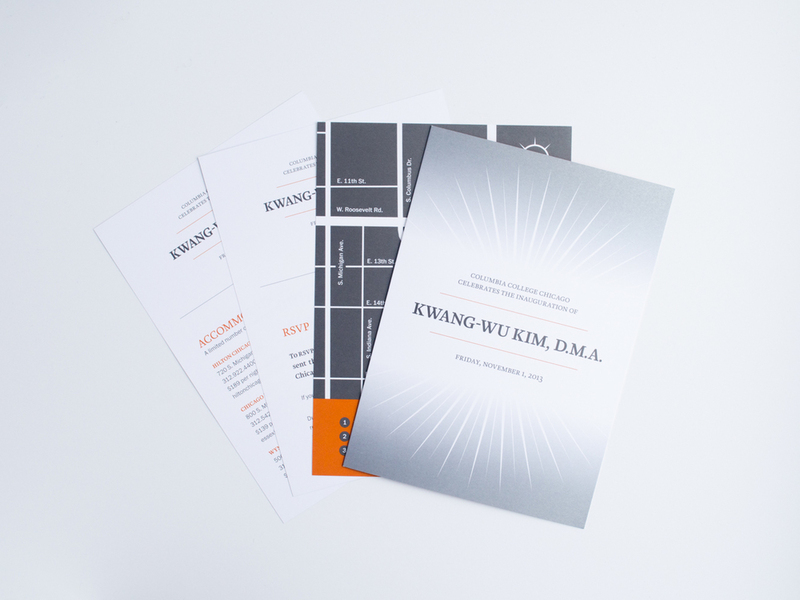 The design was meant to embody the bright new light and leadership of the new president, while maintaining the creative energy of Columbia's identity. Some elements from the design were pulled from the recently redesign College Seal.